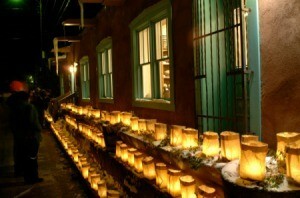 Luminaries are a long standing Mexican traditional holiday decoration used to light a path or stairway. They have generally been made from brown paper bags, sand, and a candle. Many variations are now used for different occasions. This is a guide about making luminaries. Spaghetti jars get a Halloween makeover! 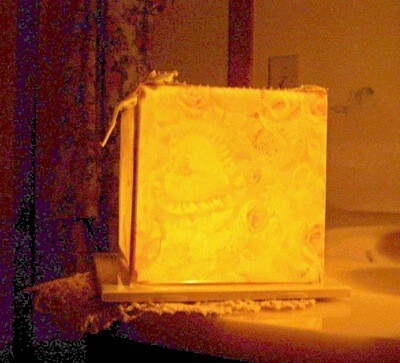 Use either glow sticks or battery-operated votive candle for a safe, easy luminary this year. Super-easy; let the kids do this craft for your window ledge or porch, set along the path to the treats. Place glowsticks or battery-operated votive candle into jar and place luminaries out for the trick-or-treaters! Craft sticks and either decorative paper napkins or wrapping paper can be used to make pretty luminaries to decorate your home or next party. This is a guide about craft stick luminaries.